Finding the right daycare center for your child may seem overwhelming – not only are you worried about them venturing out into new territory, you’re also probably wondering which daycare to send your little one to. Taking a daycare center tour is the best way to help you decide which daycare facility is right for you and your child. Try to go on more than one tour of the facility to see how the staff interact with the children – see if they are attentive and caring. One thing to pay attention to is if the staff interact with the children at their level – for example having circle time together on the floor, or sitting at the desks with the children. Do they interact with the children or do they simply teach from a distance? It’s not only the staff that can teach you about a daycare but the children also. How do they look, are they bored, unhappy, is their chaos in the room? Look at the toys and the games they play, as well as the pictures on the wall. Check if any of these are age appropriate and if they’re stimulating enough for the children. A daycare facility tour is also important as an opportunity to ask for references from previous parents or possible the contact information of current families so you can contact. Also, make sure to check their credentials – get their license number and look it up to make sure that it is valid and that they have no violations. Ask about what sort of nutritious meals and snacks they offer the children and if they have a preschool curriculum. these are all signs of a good facility. A daycare center tour is an important step you should take in deciding where to enroll your child. 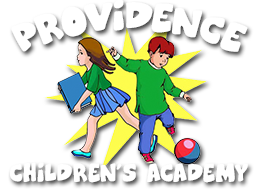 At Providence Children’s Academy we pride ourselves in offering state of the art features that put us above and beyond other preschools in the Coconut Creek area. If you have any questions you are welcome to contact our preschool and take a tour of the facility, we would be delighted to meet you and your family in person.